Zach Cairney, Michael Fischer and Muxwan Tang stack the coats to be picked up for delivery to the St. Vincent DePaul stores. 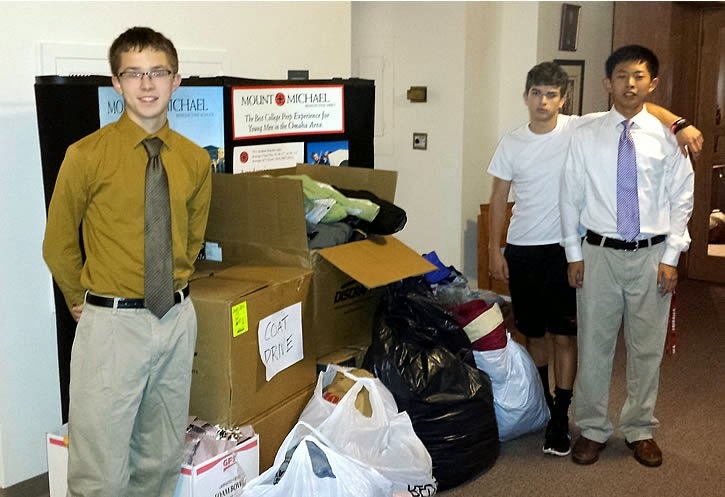 The students of Mount Michael and their families collected 181 coats for the Saint Vincent DePaul annual coat handout. Leading the way was the senior class with 58 coats followed by the sophomores with 49, freshmen with 47 and the juniors with 27. Good job Knights! Many people will be warm this winter because of your efforts.